Incredible opportunity to revive the Rico Theater. 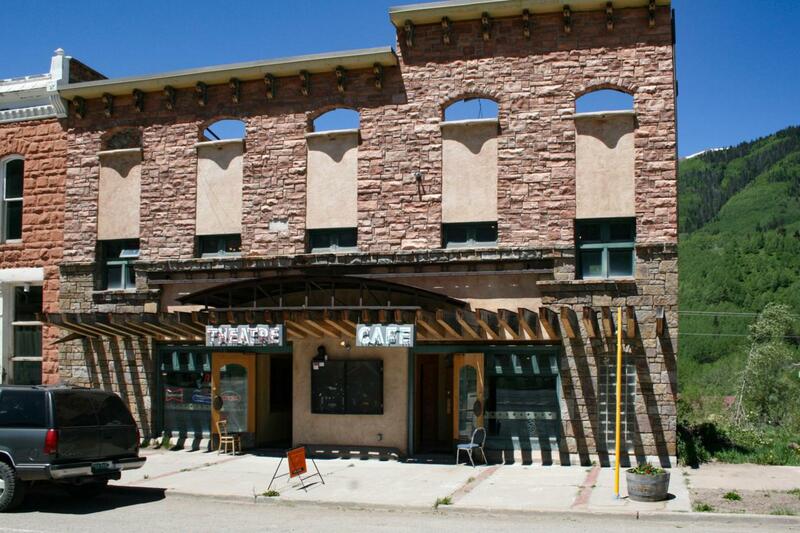 At almost 8,000 square feet the propety is a cafe and music/ theater venue ready to be capitalized. Property comes complete with all FF&E including new pizza ovens, a fully functioning kitchen, 2 bars, tables, chairs, sliverware, plates, glassware and even spices ready to plate the food. Walk-ins with a tapped keg system is ready to serve a frothy cold one to your patrons. Music venue comes complete with sound system, soundboard and ready to book bands and live events. Theater room complete with carbon arc projectors from the 40's. Perfect for live events, theater, private parties and general frivolity. Rico is a sleeping giant and only 23 miles to Telluride ski area. Could convert upstairs to residential.Hot springs, back country skiing and world class fishing on the Dolores River are steps away.